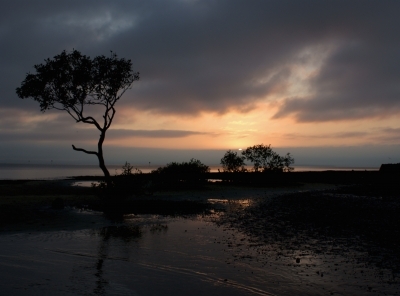 The “emotional body” is where we carry all ‘feeling’ aspects of trauma (and joy!) from this life. For many unhealed empaths and highly sensitive people, the emotional body can often feel like a trap. We feel like slaves to our emotions and sensitivities and often don’t know how to move forward because of blocks, triggers, and traumas. In this class we will be focusing on how to activate and empower the emotional body, allowing our emotions to flow freely under the wisdom and guidance of our Higher Self (without judgment) and using them to feel empowered, rather than disempowered. This is a pre-recorded class. Once registered, a private link will be emailed out to a password protected page with all class material. All material is sent out together so you can take the class at your own pace. Register for the class via paypal (below). 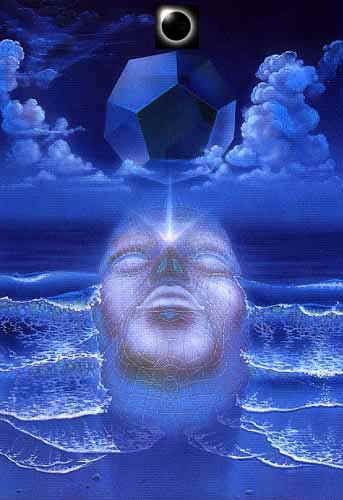 The picture below is activated with pranic healing energy. I found it online and felt a jolt throughout my entire heart chakra. Because of its powerful template, I used it to also encode my own intentions/magic. It contains the vibration of inner harmony within the heart chakra when connected and activated fully with the sarcal chakra. It also balances/integrates all seven chakras. When you look at it, breathe in deeply and notice how the energy is moving through your body. Ask yourself what you feel, and what you need. Listen closely to how your body gives you the answer. Write it down if helpful. Notice how your desires are stirred and moved into your heart to be activated and settled into their most harmonic path. Allow yourself at least a solid 3 minutes looking at it, and receive the activations that are encoded. It’s pretty epic! Feel free to share your experience~! As many of my blog followers know, I also write content for the amazingly brilliant, conscious fashion company, Lotus Effect. Today’s article is all about understanding, opening, and clearing the chakras, and since this is Chakra Center after all, I felt it would be an appropriate blog share for today! Believed to be the centers for spiritual energy, the 7 Chakras are a crucial system for understanding the flow of personal life force. Not only do these center points hold specific energy in the body, they also flow back and forth between each other and represent a vital aspect of our physical, emotional, and spiritual well-being. Each individual chakra has a specific purpose in the body, and can be blocked by unhealed emotions and trauma. When one of these energy centers is blocked, it messes with the balance of our entire system. Blocked chakras can lead to illness, as well as spiritual and emotional unrest. Understanding how to clear and balance the chakras is crucial for our overall health. Knowing where these energy center points are located in the body, as well as their emotional components, is an important step in learning how to be in-tune with the body’s life force. 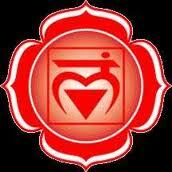 Root Chakra – Located at the base of the spine, the root chakra is where the body carries its survival energy. Issues of money, food, and stability are associated with this chakra. When opened and clear one feels grounded and at peace. The emotion that blocks this chakra is fear. If you carry fear for your basic survival (this can include financial stress or eating disorders), it is important to work on healing your root chakra. The key to healing this chakra is surrendering to your fears and allowing them to flow through you (rather than resisting and suppressing them). 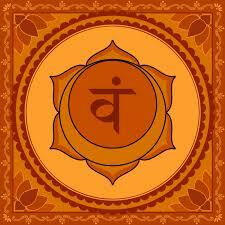 Sacral Chakra – Located about 2 inches below the navel and 2 inches in, is the sacral chakra. Related to the ability to give and receive, as well as sexual and creative energy, this chakra deals with pleasure, and is blocked by guilt. Because of social and religious programming, most people have blocks in their sacral chakra. 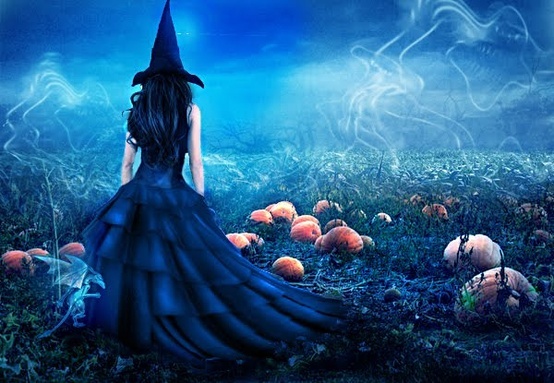 Feeling guilt related to receiving pleasure (of any form), creativity, or sexuality – or carrying emotional trauma related to sexuality, is an indication the sacral chakra needs to be healed and cleared. Look at the things you feel guilty about in your life. Accept the reality of the events, and learn to forgive yourself. 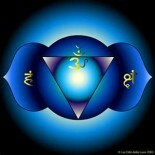 It is impossible for this chakra to be opened and balanced without self-forgiveness and acceptance. 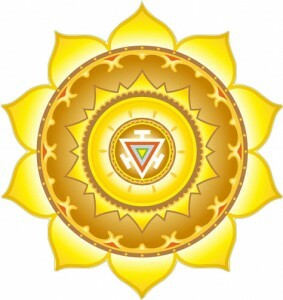 Solar Plexus Chakra – Located in the abdomen/stomach area, the solar plexus chakra deals with one’s sense of personal power and self-control, and is blocked by shame. Feelings of self-worth, self-confidence, and self-esteem are tied to this chakra. In order to open and clear the solar plexus, it is essential to love and accept all aspects of yourself, including your mistakes. Heart Chakra – Located in the center of the chest, just above the heart, the heart chakra deals with our joy, inner peace, and ability to love. This chakra is blocked by grief. To clear and release the heart chakra, it is important to acknowledge, validate, and release all loss. Allow yourself to feel the pain of grief. Do not hold and suppress the sadness — let your emotions flow. Throat Chakra – Located in the throat, the throat chakra deals with the ability to communicate truth, and is blocked by lies – especially the lies we tell ourselves. To heal and open the throat chakra, it is important to release all self-denial and lies – even when those lies are functioning as a coping mechanism. We cannot lie about our own nature. It is impossible to be able to communicate in a powerful way when one holds onto self-deluded lies. Third Eye Chakra – Located on the forehead between the eyes, the third eye deals with the ability to focus on and see the big picture (as well as psychic vision and insight). This chakra is blocked by illusion. The greatest illusion of this world is the illusion of separation. 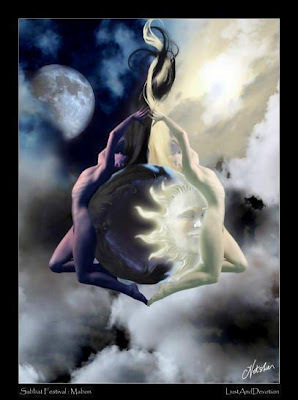 In order to heal and clear this chakra, it is crucial to release all illusion within ourselves and understand we are connected to all things. There is no separation. Things we think are separate and different, are actually one and the same. Crown Chakra – Located at the very top of the head, this highest chakra represents the ability to be fully connected spiritually. It deals with pure, cosmic energy, and is blocked by earthly attachment. Healing and opening the crown chakra requires us to let go of the things we hold on to most desperately, trusting the love and flow of the Universe/Source within us to be our ultimate fulfillment and bliss. 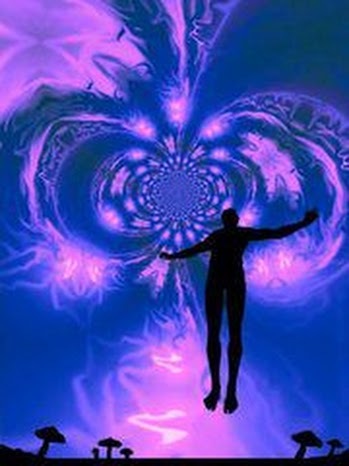 Opening the crown chakra is not about denying our desires or connection to the earth, it is simply about letting go of our grasp and surrendering to Universal cosmic energy (or God). 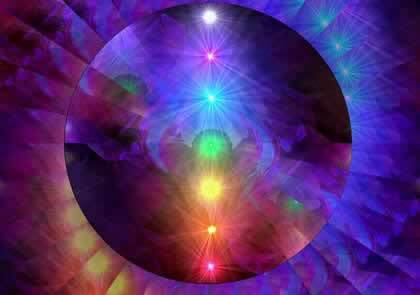 Opening and healing the chakras is about walking the spiritual path of self-awareness. It is not something that is done in one mediation, but rather a daily practice on the inward journey. By tuning into our emotional blockages and needs, we allow ourselves to expand, trust, and ultimately be set free. 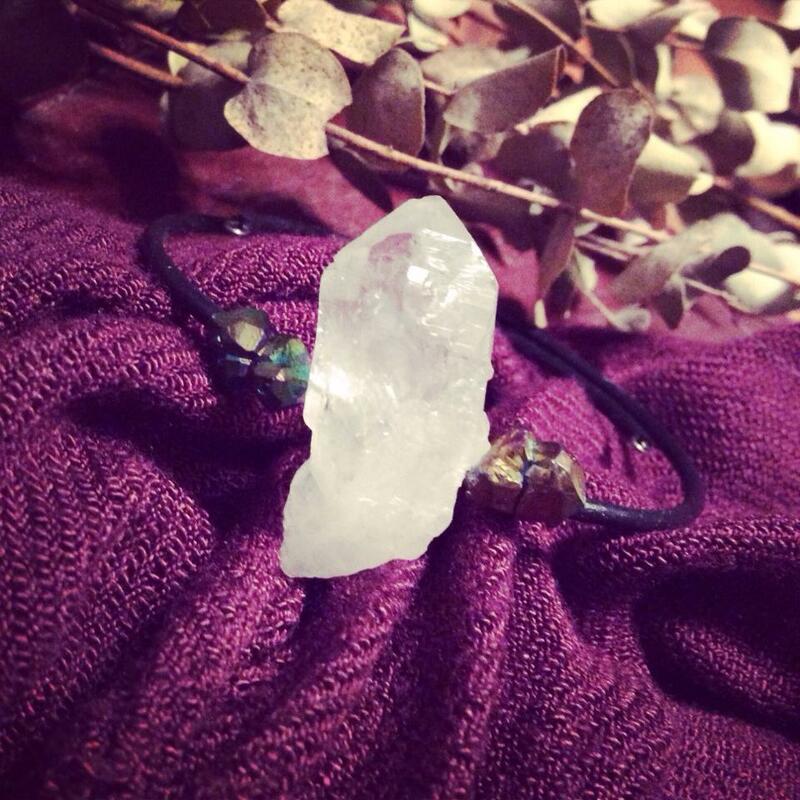 Everyone who signs up for the class will receive a bracelet bearing raw, rainbow titanium and clear crystal quartz. A large part of the class will be learning to use the subtle energy frequencies of these crystals to balance, heal, and transmute energetic residue in our auric field. TO REGISTER for the class, fill out the form below and complete your purchase through Paypal. The entirety of the class will be held in a private Facebook forum. I will post weekly videos/workshop content, as well as be available daily to answer any questions you may have. The forum format also gives participants the opportunity to interact with each other, have personal access to me, and even post video responses to the material (should you wish to do so). *Please make sure to register with the email you have associated to Facebook so I can add you to the forum. Class begins May 11th – May 31st, 2014. This three week course is only $55. *Your spot will not be reserved until payment is received. What happens when empaths unite to learn from each other/empower their abilities? Major expansion! I am simply blown away by the amount of information/growth I’ve experienced in the “Empowering Empathic Abilities” online class and challenge. So as to not leave anyone out, I thought I’d send some of the most recent audios. Feel free to leave your feedback/comments/impressions. It’s amazing what happens when empaths unite and share their experiences. Empowerment is an understatement! I’ve learned so much from everyone in the class and am reminded how connecting with others makes me 100 times stronger! Talk about stretching! Thank you to everyone who has participated this far! So much more to come! And for those of you interested in The Art of Empathic Shapeshifting, the online class starts on the 21st (Friday)! We’d love to have you! In this class we will be exploring, in depth, the empathic art of shapeshifting. What is empathic shapeshifting, you may ask? It’s the ability to shift your energy/vibration to be the projection of what a person needs (or a fun way of describing how one lowers/raises their vibration to match their environment). I call it an “art” because like all natural abilities, it must be honed and cultivated to really reveal its true beauty/power. Most empaths shapeshift unconsciously, but because they’re not aware of what’s taking place, it can cause them to feel alone, unknown, invisible, and unsure of who and what they really are. It can also cause them to jump into other people’s paradigms that aren’t the most beneficial for their growth/expansion. Learning to actively and consciously shapeshift (and when to turn it off) is crucial to thriving as an empath. Once empaths learn to control this ability and direct their focus, shapeshifting can be quite a fun/unexpected journey into other realms (and much more effective in helping others). Understanding this ability and how to function in a healthy/balanced energy grid while practicing the art of shapeshifting is what this class is all about. For those of you have taken my “Empowering Empathic Abilities” online course (or those who are joining in on the 21 Day Empowering Empathic Abilities Challenge), this is a perfect “next step.” But anyone who is interested can take this course. All are welcome! This class is intended for empaths who already understand who and what they are, but want to move forward in fine-tuning their abilities. This two week course is only $22. 21 Day Empowering Empathic Abilities Challenge! Are you ready to make major breakthroughs with your empathic abilities? Join me for a 21 day look into the world of empaths! This 21 day challenge will consist of 21 daily videos (one video per day) using material from my “Empowering Empathic Abilities” workshops. I will be presenting you with tons of valuable tools/tips and techniques on understanding and thriving with your empathic abilities. *Understanding empathic abilities as a superpower, not a curse! If you’re ready to take charge of your life and feel empowered with your empathic abilities, register below. I look forward to connecting! NOTE: *This 21 Day Empowering Empathic Abilities challenge will be entirely on Youtube and is not an online class or workshop. It is meant to provide you with information to help you thrive! If you want to connect with others and work more directly with me, check-out my online classes or mentoring/intutive sessions for empaths. 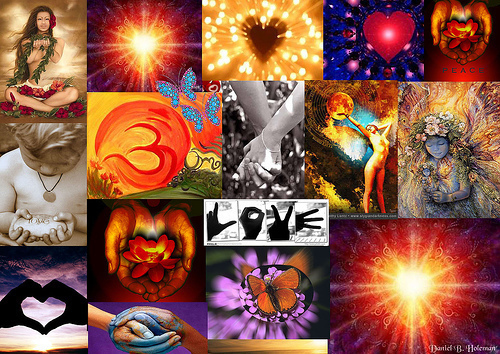 Empowering Empathic Abilities Online Class! We will also explore the unique ways we all read the energy around us, and help each other discover our own power tools for balancing and controlling these abilities. A lot of extremely powerful empaths are out there who have never fully explored their potential as healers/energy workers due to having unhealed emotional wounds. Most empaths don’t even realize they have a unique gift — they simple live in a world a emotional baggage and pain, carrying the weight of the world on their shoulders and never understanding the power they have to redirect the energy, transmute it, and heal (not only themselves, but others!). Imagine what would happen if empaths joined forces together to clear energy fields and tap into their unique power for transforming old energy and patterns on a global, collective scale? Imagine what new grid lines we could create. Imagine the impact we could have on the world! Empathic abilities has by far been the topic I’ve received the most questions about on Chakra Center — while in my intuitive work I seem to primarily attract people who are empathic and are seeking help in understanding this ability. Of course, we always attract what we need most, and working with empaths has been the single most healing and beneficial thing I’ve done with my own intuitive/empathic abilities. Because I continue to receive questions and clients who want to go deeper in their understanding of this topic, I’ve felt and strong desire to work on a more global/collective scale with empaths. There are so many empaths on this planet right now who are waking up to their gifts but have no idea how to heal themselves or use it for the benefit of others. That is why I created this course! I have a powerful vision of what we empaths could do if we joined forces. I am so excited to be leading this workshop, as I am realizing working with empaths is part of the intention I set for this life before coming here and I am in the gathering phase! So, I’m calling all empaths, skilled and unskilled, to come together and join forces. I know there will be much more to come! Hope to see you there! TO REGISTER for the class, fill out the form below and complete your purchase through Paypal. The entirety of the class will be held in a private Facebook forum. I will post weekly videos/workshop content, as well as be available daily to answer any questions you may have. The forum format also gives participants the opportunity to interact with each other and even post video responses to the material (should you wish to do so). Empaths and relationships. It’s that underbelly hot topic that many people in the “New Age” community tend to ignore. 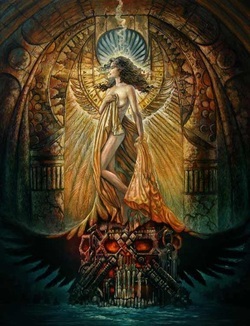 But I think it’s important to understand the Shadow aspects of all things, because the more self-awareness we become, the more growth and expansion can occur in our lives. One of the biggest problems I’ve seen (both in my own life and with empathic clients I’ve worked with) is the issue of co-dependent relationships. Most empaths see this happen in their lives at least once, if not over and over. It can be hard for an empathic person to learn healthy boundaries because they naturally (and subconsciously) spend so much time exploring other people’s auras, that it can be difficult to know where they end and the other person begins. I found this article to be highly informative, honest, and exactly the tendencies many of us empaths need to understand about ourselves in order to develop healthy relationships and break the damaging patterns of co-dependency. I hope it helps shed light on some of the more destructive aspects of empathy. Fourteen years ago, I discovered I’m an empath. I always knew, even as a child, that I felt others; pain, but it was good to discover that intense sensitivity had a name. Empath Guide defines it well: Criticism, suffering, hurt, humiliation, shame are hard enough for me to bear. Watching others feel them is agonizing. Knowing I’m an empath explains a lot about my interpersonal struggles. It can ruin or heal relationships. * I can read hearts. Sympathy is feeling for another person while staying inside one’s self. Empathy is feeling with someone. It’s like I live inside their heads and hearts. I understand others’ motives and reasons better than they sometimes do. I make excuses for them they’ve never thought of. * I’m in constant pain. Empaths often act depressed. We are. Continually feeling others’ pain is exhausting. Sometimes, it’s plain miserable. It’s like having the weight of the world, with all its sin, hurt and sorrow on our shoulders. * I’m paranoid. As an empath mom and wife, I feel a flood of compassion, sympathy and closeness with my family. That’s good, except that I worry about them 24-7-365. I could easily become a “smother mother.” I read about a mom who couldn’t let her kids out of her sight for fear something might happen and she wouldn’t be there to stop it. I know how that feels. Other parents, sometimes spouses and kids, most of society doesn’t get that. They just think we’re over-controlling, helicopter paranoiacs. We are. We have to be. Empathy dictates that we be constantly vigilant. * I try to control others. Because empaths feel everyone’s pain, we start to believe we’re responsible for it and can stop it. The guilt is all-consuming. To assuage it, we try to correct, fix and change others’ behavior. We hope to stop them hurting themselves and us by default. * I drive people away. I had my empath epiphany at a roller-skating party. A stranger fell and broke her arm. I began to sob and shake. I was incoherent. I felt her arm pain, shock and fright. My friends felt sorry for her, but were horrified by my reaction. One said, “Mar, you really take the gospel injunction to ‘bear one another’s burdens’ seriously!” They acted wary of me after that. And these were friends. * I’m crazy-vulnerable. If friends can’t take extreme empathy, imagine how raw an empath is with unsafe people. We easily fall prey to victimizers and predators. I have been scolded, shamed, punished, abused, mocked and taken advantage of because of my empathy. Empaths are an addict’s codependent-mate fantasy! * Empathy is a gift and a curse. Being able to get inside someone else’s heart is a double-edged sword. I’ve seen things that will never cease to traumatize me. Compassion frankly hurts. And all the while I’m being hurt, I kept on empathizing. I intuitively understand where behavior comes from. I can never really be angry with anyone because I can’t distance from them. Anger at someone else is just anger at myself. * I have panic attacks. This part is the hardest to admit, but the most necessary for me and other empaths to hear. In my agony, I have melted down and hurt myself and those I love. Weird isn’t it, that I would hurt those who I worry most about protecting. I used to feel unbearable guilt for this. Now I realize it’s the logical result of so much inner torment. When loved ones do things to hurt themselves, they’re hurting me doubly. When I rage at them, it’s myself I’m livid with. My story is still being written, but I think it’s going to have a happy ending. I’m fortunate to have a loving family who supports me. I’m learning to recognize obsessive empathy and redirect it. I’m using this existential crisis to understand myself, my relationships and my purpose. I’m seeking positive outlets so I’m not engulfed by angst. I’m finding healthy diversions and channels for my empathy. Ever since I posted my experience with understanding my own empathic abilities, I’ve received dozens of emails and questions from people who realize they are deeply sensitive but unsure if they are “empathic” or what do about it. Understanding what’s going on with your emotions is the first step to living a balanced, healthy life as an empath, and in my experience, beyond that it is learning how you uniquely read other people’s emotions so you can develop the skills to control that gift, rather than allowing it to control you. Anna Sayce wrote an excellent article outlining signs of empathic abilities a couple years ago, and in light of recent questions I’ve received, I thought I’d share it with my readers here at Chakra Center. Be sure to check-out her site for related articles on empathic abilities and how to control them. You can also check-out my own video on understanding empathic abilities below. In short, an empath is someone who feels what other people are feeling. This doesn’t mean you can get an idea for how other people feel just some of the time. Being an empath means you were born with the ability to enter someone’s aura and explore their feelings and experience of life on an intimate level. Much of the time this is done unconsciously. On the upside, you know what it feels like to be another person, so you’re often great at relating to others (empathy is, after all, a psychic gift and you can use it to read other people). On the downside you are like a sponge who is often wet and full of other peoples’ emotions – the conscious one and the unconscious ones. This can be a heavy burden of energy to carry around. It gets tiring. That’s why I wrote this article. Feeling the world’s suffering on a large scale and wishing you could do something to help. Ironically, this makes you less equipped to help, because you feel overwhelmed. Finding it difficult to fully be present to yourself and your own feelings when conversing with other people. This is because you’re busy exploring their aura and responses to life – not your own. Shyness – empathy can make you somewhat self-conscious as you’re very aware of the effect your words have on another person and what they’re thinking and feeling in response. A tendency to say yes to the requests and demands of other people – almost as a reflex; without thinking about whether you actually want to. When you’re so immersed in another person’s experience of life and what they need – how can you say no? It’s only afterwards that you realize you forgot yourself and your own needs. A general tendency to put your needs last, or serve others at your own expense. A liking for distance in relationships, and for solitude. This occurs because as an empath, intimacy and closeness is your default. But when you don’t know how to stop yourself from exploring other peoples’ auras, you need some space on your own, where you aren’t around other people. Feeling an affinity with the animal kingdom. When you’re an animal empath, you can get a feel for how other species experience life and you are able to relate to animals on a deep level. Some people are plant empaths, so the same is possible for plants. Feeling responsible for how other people feel – and going out of your way to help them to feel better (even when it doesn’t serve you.) After all – you feel their emotions so keenly. A tendency to let relationships and friendships get too heavy (and too close) – too fast. A strange tendency to feel aches and pains, but only around certain people. Finding yourself often in a counseling role, where people dump their emotions on you, and being very drained by it. An emotional over-identification with characters in novels, films and plays. It doesn’t matter that they’re not real – you can still feel how they felt. A tendency to forget to have fun and lighten up. This morning I was browsing through Mindbodygreen and stumbled across this article by Deepak Chopra. Deepak offers a in-depth and unique perspective on the Chakras I just had to share! Enjoy! Each of the seven chakras are governed by spiritual laws, principles of consciousness that we can use to cultivate greater harmony, happiness, and wellbeing in our lives and in the world. The root chakra, known in Sanskrit as muladhara, is located at the base of the spine. It governs your most basic survival needs. When this chakra is clear and energy flows through it freely, we feel secure and confident that we can easily fulfill our needs. However, blockage in this area can cause us to feel anxious and worried. 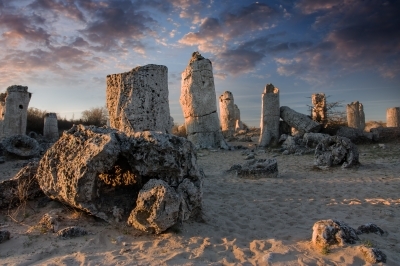 The spiritual Law of Karma governs the first energy center. On the physical plane, every action you perform results in a corresponding reaction. To maximize the possibility that your actions generate evolutionary reactions, you can use your body as a choice determining instrument. Consider the possibilities in front of you and listen to signals from your body. These sensations generating from the root chakra are either comfortable or uncomfortable. Your body evaluates every possible decision in terms of its likelihood to meet your needs for safety or increase the level of threat you experience. 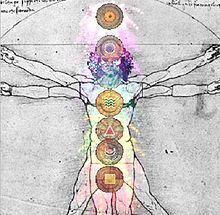 The first chakra, which connects you with the earth, provides essential information as to the potential nourishment or toxicity that is available to you as a result of the actions you are taking. The creativity chakra, called svadhishtana, is associated with creativity in all its expressions. Located in the area of your sexual organs, the energy of this center can be used for biological reproduction. When channeled into higher energy centers, it fuels the creative force that enables you to paint a beautiful picture, build a business, or create a life of love and abundance. The Law of Least Effort is lively in the second chakra. When your vital energy is flowing through your center of creativity, you co-create your life. The solution to every problem is rarely on the level of the problem. Rather, it comes from a deeper domain of creativity. Creativity is the process of taking the same raw material and creating different contexts and relationships between the components. For example, when a composer creates a new piece of music, he is using the same notes in a new relationship with one another other, resulting in the emergence of something that did not exist before. 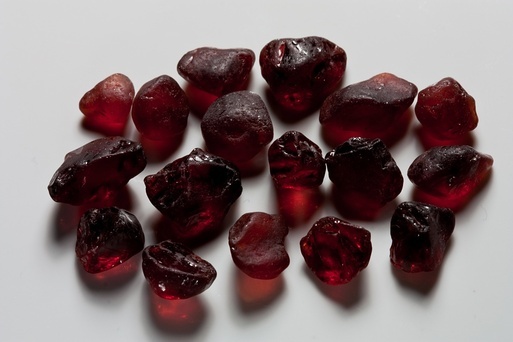 The second chakra utilizes the raw material of the root chakra to create the world anew each day. 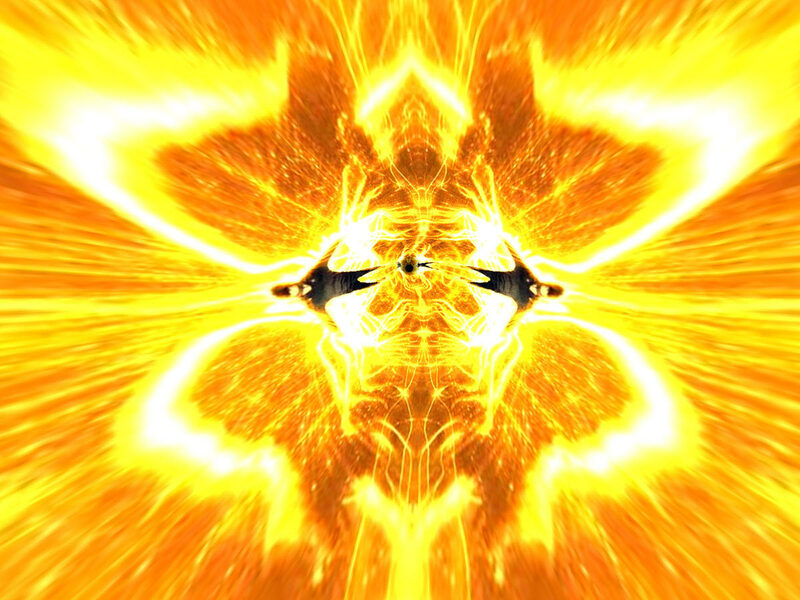 The energy chakra, manipura, is localized in your solar plexus. It’s the seat of your power in the world. 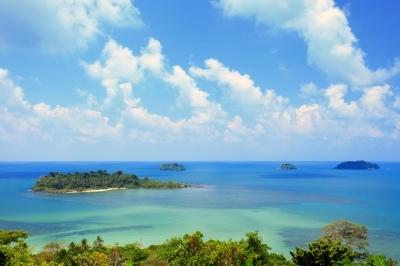 When this center is open and flowing, you are capable of translating your intentions and desires into manifestation. When it is blocked, you feel frustrated and ineffectual. The Law of Intention and Desire governs the third chakra. The seeds of intentions and desires reside in your personal soul. Nourishing the seeds you wish to germinate with your attention will lead to their full expression. It is important to be clear about your intentions so you are not surprised when they bear fruit. The process of manifesting your desires is to first bring them into consciousness, followed by expanding your awareness through meditation, and finally releasing your intentions and detaching from the outcome. You can control your actions, however you cannot control the fruit of your actions. Keep your life energy flowing freely through your third chakra and the light and heat of your intentions will radiate on the world. 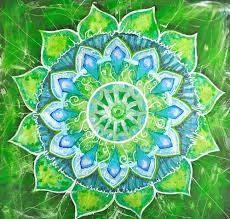 The heart chakra represents the unifying energy of love and compassion. Known as anahata, it is located at the center of the chest. The heart chakra is dedicated to overcoming separation and division. When the heart center is blocked, there is a sense of alienation from others. When the heart center is open and flowing, you feel connected at a deep level to all beings in your life. The Law of Giving and Receiving governs the heart chakra. Love can take many different forms at different stages of life. The love of child for her mother is different than a mother’s love for her child. A friend’s love is different than that of a passionate lover or the love of a student for his teacher. However so, the common thread in each of these expressions of love is the impulse to unify—to overcome separation. This is the nature of the heart. Every act of giving is simultaneously an act of receiving. Each time you welcome a gift into your life, you are providing the opportunity for someone to give. Just as a healthy physical heart receives blood from the periphery which it then oxygenates and pumps back out, your emotional heart stays healthy by receiving and giving love in all its forms. 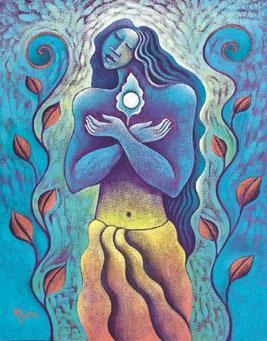 The throat chakra, called visshuddha in Sanskrit, is the center of expression. When the fifth chakra is open and flowing, you have the confidence that you are capable of communicating your needs. 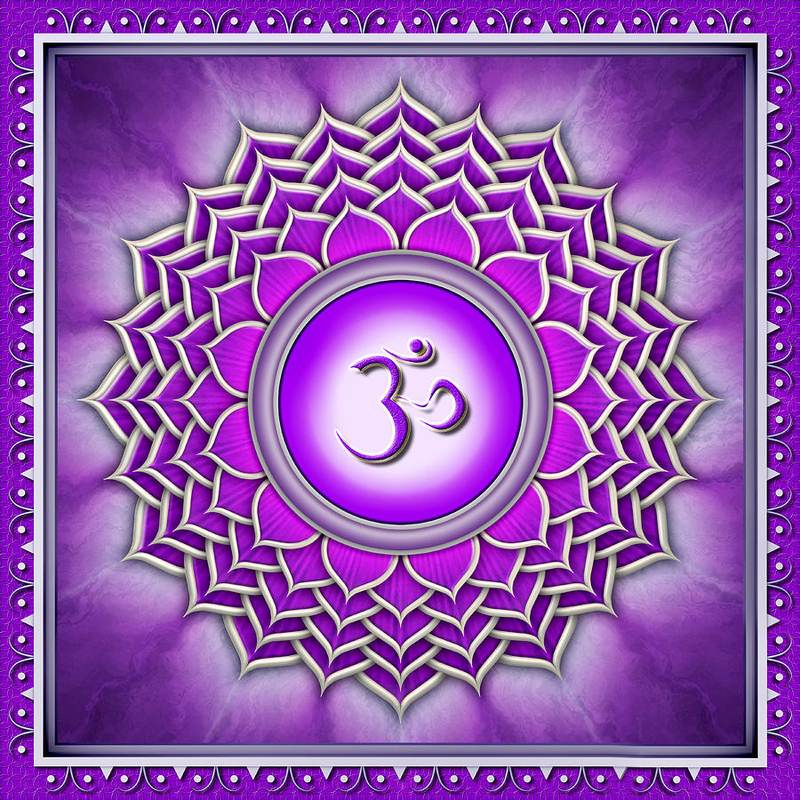 When the fifth chakra is obstructed, a person will often feel that they are not being heard. In order to feel alive and empowered, it’s important that this energy center is clear. Blockages in this area are often associated with thyroid problems or chronic neck pain. 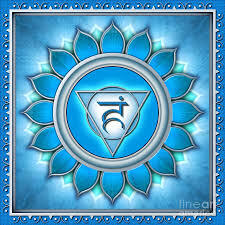 The Law of Detachment governs the throat chakra. An open fifth chakra enables you to express your truth without concern for censors or critics. This does not mean you say things that are intentionally hurtful or insensitive. On the contrary, people with open centers of communication are skillful in expressing their needs in ways that are life supporting. Anxiety over how people will react to your views does not arise when energy is flowing freely through the chakra of expression. The Law of Detachment reminds you that you can choose your words and actions, but you cannot control the response to your words and action. When your intentions are clear, and your heart is open, you will spontaneously demonstrate right speech trusting that the universe will handle the details. The intuition chakra, known in Sanskrit as ajna, is located in the forehead. 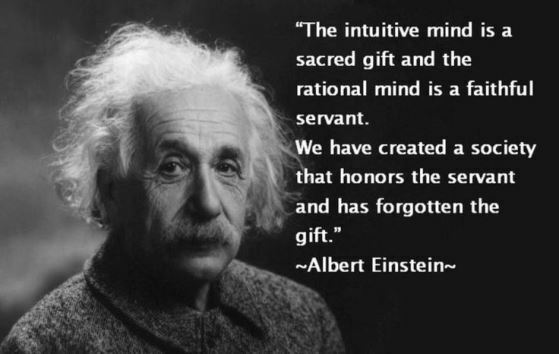 It is the center of insight and intuition. 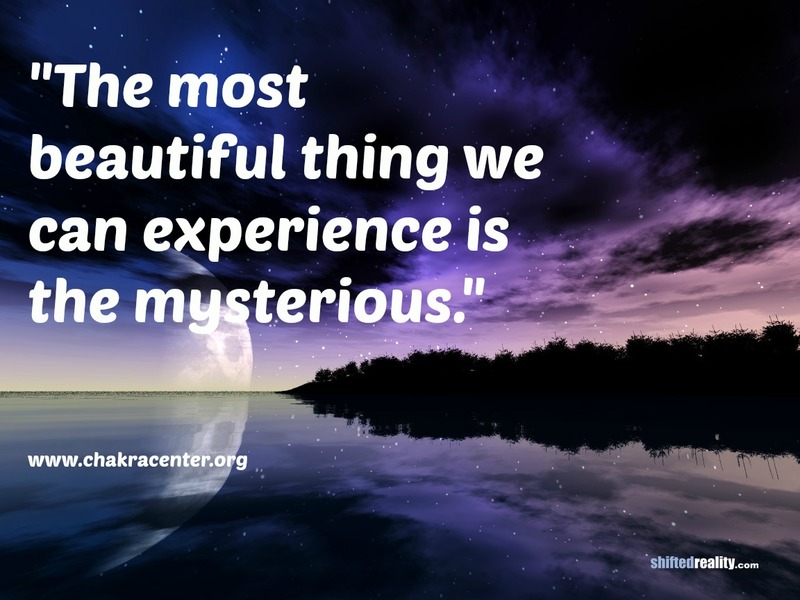 When this center is open, you have a deep sense of connection to your inner voice, and feel guided in your choices. When blocked, there is a sense of self-doubt and distrust. The opening of this chakra is usually associated with a clear sense of connection to ones dharma, or purpose in life. The Law of Dharma or Cause and Effect governs the sixth chakra. You have within you a wise voice guiding you to express the highest aspects of your nature. Listen to this still inner voice, which is guiding you to manifest your full potential. Quiet the internal turbulence that is filled with the voices of others so you can identify the sound of your own soul. It has only one desire—for you to remember your essential nature as a spark of the divine. The consciousness chakra, known as dahaswara, is visualized as a lotus flower at the crown of the head. When the lotus unfolds its petals, the memory of wholeness is restored. Remember that your essential nature is unbounded, and that you are spirit in disguise as a person. This is the full expression of yoga – the unification of being with action, of universality with individuality. The Law of Pure Potentiality governs the seventh chakra. When your roots are receiving nourishment from the earth in the first chakra, your creative juices are flowing in the second, your intentions are empowered in the third, your heart is open and exchanging love with those around you in the fourth, you are spontaneously expressing your highest self in the fifth, you are in touch with your inner voice in the sixth, only then, does energy move into the crown chakra and you remember your essential nature as infinite and unbounded. The thousand-petaled lotus flower unfolds and you know yourself as a spiritual being temporarily localized to a body and mind. The Yoga of Meditation The Upanishads tell us, “As great as the infinite space beyond is the space within the lotus of the heart.” From the time of your birth, you have been called to explore the world outside of you. 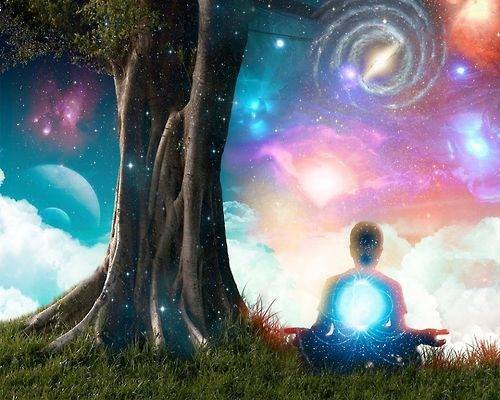 Meditation is the exploration of your inner world. Yoga encourages you to be as familiar with your inner world of thoughts, feelings, memories, desires, and imagination as you are with the outer world. When you can move through both the inner and outer domains of life with freedom and joy, you fulfill the highest purpose of yoga. Deepak Chopra, M.D. co-founded the Chopra Center for Wellbeing in 1996 with the late Dr. David Simon, who co-wrote this article and the book The Seven Spiritual Laws of Yoga. You can learn more by visiting the Chopra Center’s resource page.